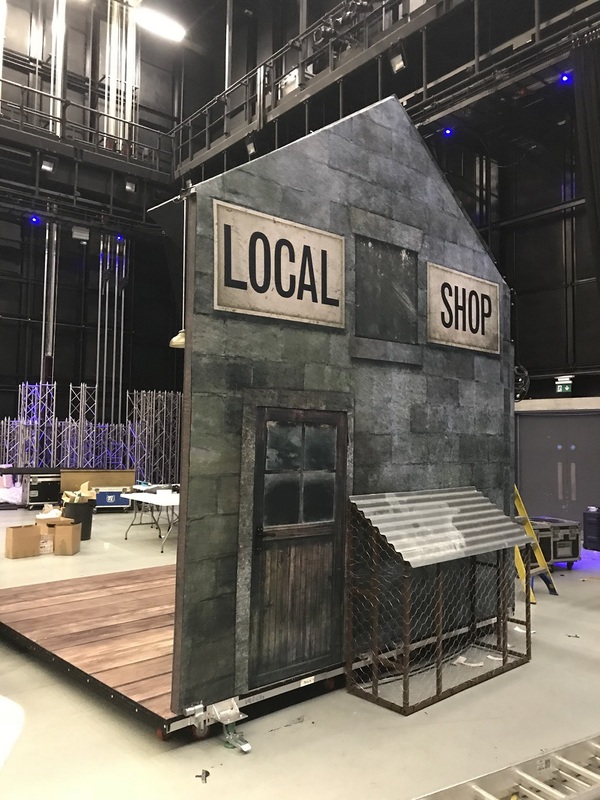 TSG were approached to manufacture the set for the League of Gentlemen touring show. The brief began at the beginning of June with basic design drawings from Duncan McLean showing the intent. 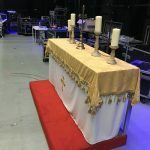 This was a particularly difficult project primarily due to some of the venues being really quite small coupled with a distinct lack of spare truck space necessitating in multiple uses for some set pieces. 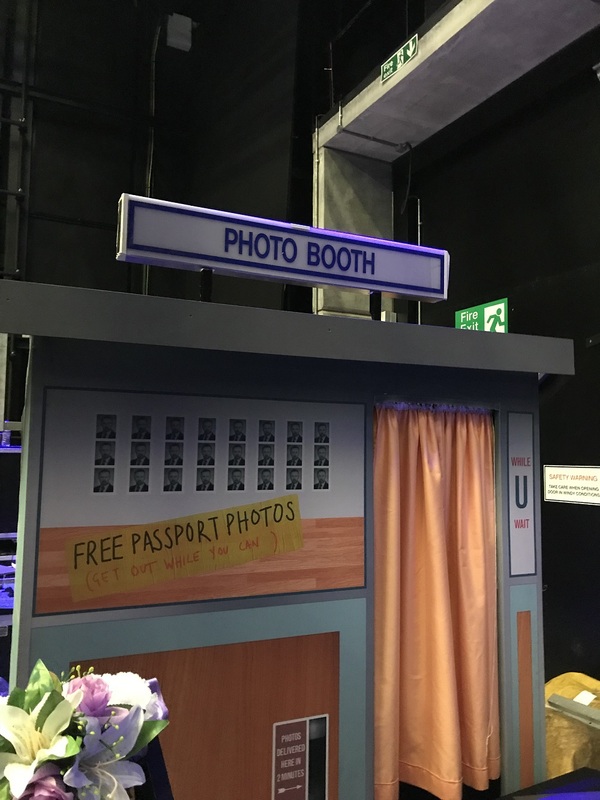 A number of mobile set pieces were manufactured including the largest which was the “Local Store”. 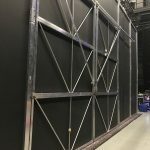 This was designed to roll downstage stage from upstage and rotate to reveal the interior of the store. 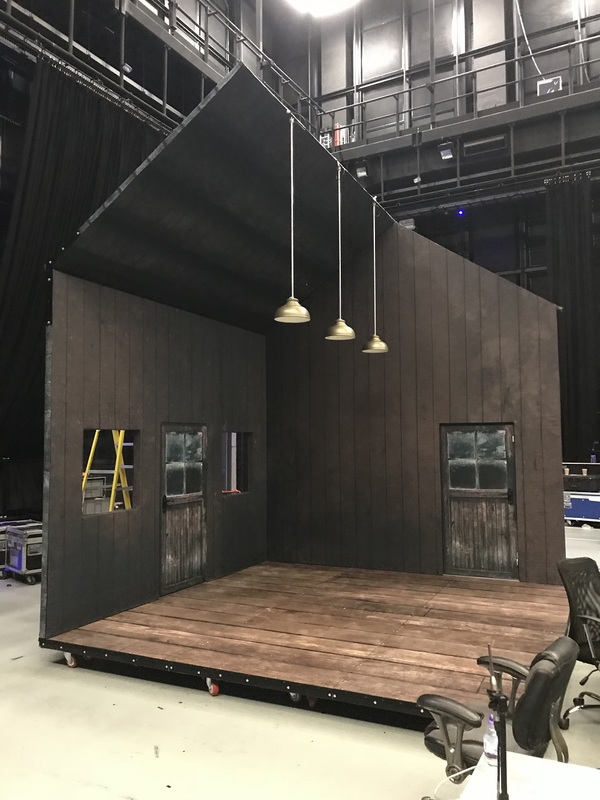 This was finished with printed softs applied to the outer and inner faces along with a chimney which produced smoke, a pig pen and various lighting effects. 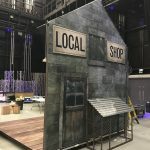 The Local Store is 4.4 metres tall and 3.6 metres square and has to fit through an opening in the upstage wall 15m long x 6.1 metres tall with fast opening doors. 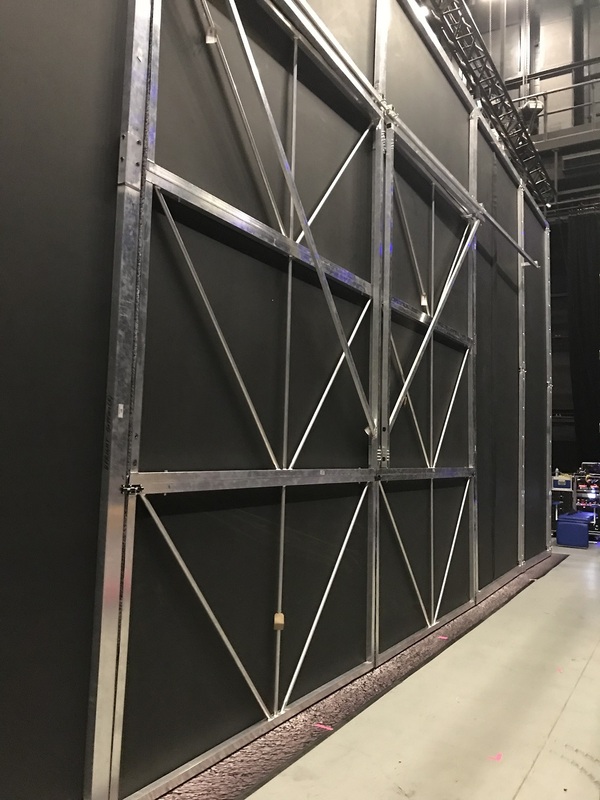 This whole wall was manufactured by us with a bespoke print Velcroed to the face of the wall and door frames. There was mobile room called “Denton slosh truck” which was designed to look like a living room with the ability to catch all manner of fluids used during the sketch. We installed a removable catch tray into the bottom for this purpose. 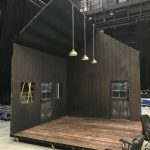 There were two offstage trucks which were designed to have different quick-change set pieces installed upon them. 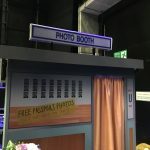 These included a B version of the local store, a photo-booth sat on top of a rock, hologauze frame surrounded by rock and a Restart room back wall. 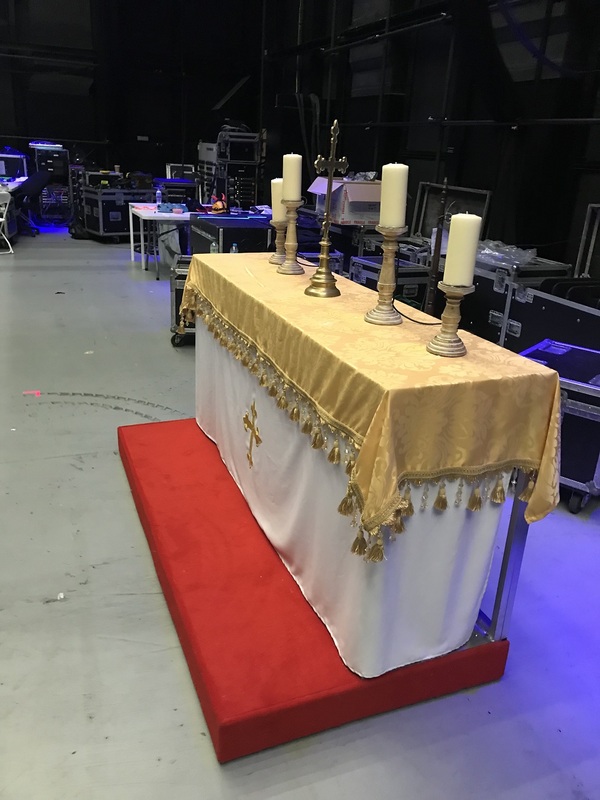 We also manufactured and scenically finished a mobile laser, coffin support frame, a rolling altar and various other set pieces in addition to a series of legs and a printed back wall. 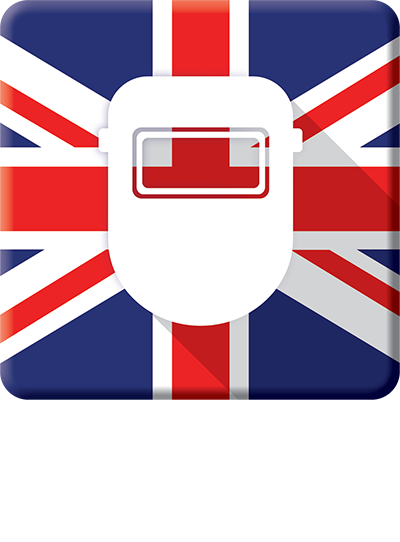 This project was delivered within a very compressed timescale and on budget.